APPLE may be plotting to kill off the home button for good. every developer must make sure its apps fit on the edge-to-edge, buttonless screen. The decree came via an email in which the Cupertino, Calif.-based company also encouraged developers to take advantage of the tools introduced in iOS 11, including SiriKit and ARKit. Apple's instructions to developers add fuel to the rumours that its next batch of iPhones - likely to be introduced next fall - will have notched screens similar to that of the iPhone X. Back in November, KGI Securities analyst Ming-Chi Kuo said that he expects Apple to introduce a trio of new iPhone models in 2018, all of which will use screen gestures instead of a home button. Apple will keep the 5.8-inch OLED phone and will also introduce an even bigger, 6.5-inch OLED device as well as a 6.1-inch phone with a lower-resolution LCD display, Kuo said - a prediction which has since been mirrored in a number of other reports. The rumblings of a buttonless iPhone line-up come just two weeks after Apple informed its suppliers that it was cutting production targets for its flagship smartphone in half. The Silicon Valley giant had originally planned to crank out 40 million iPhone X units during the first three months of 2018 but has now slashed that number to 20 million. The production cut was prompted by slower-than-expected sales in the holiday shopping season in Europe, the US and China, the Japanese news service Nikkei reported. 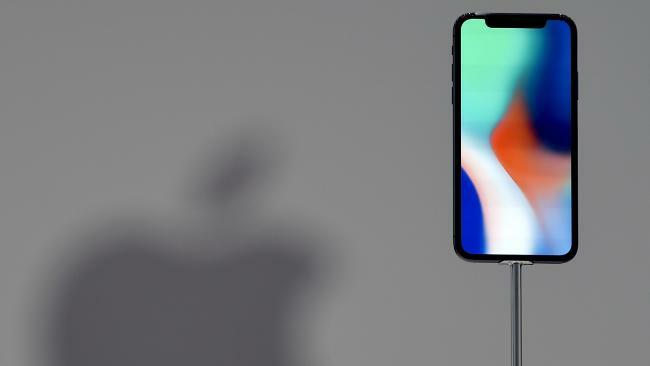 It has also been rumoured that the iPhone X will be discontinued after the next generation of iPhones are revealed. Rather than keep the iPhone X as a cheaper option for customers - the same way it still sells the iPhone 7s and 6s - Apple will reportedly put the X out to pasture so as to not undercut the sales of its new model.